I’m an Always On Mom, and I have to be with two active boys. They love the outdoors, sports and recreational activities, and really love swimming. In addition to making sure they are having fun, I’m always vigilant to make sure they are protected. That includes the scourges of nature, like sunburns and mosquitoes. That’s why I always carry sunblock and OFF! 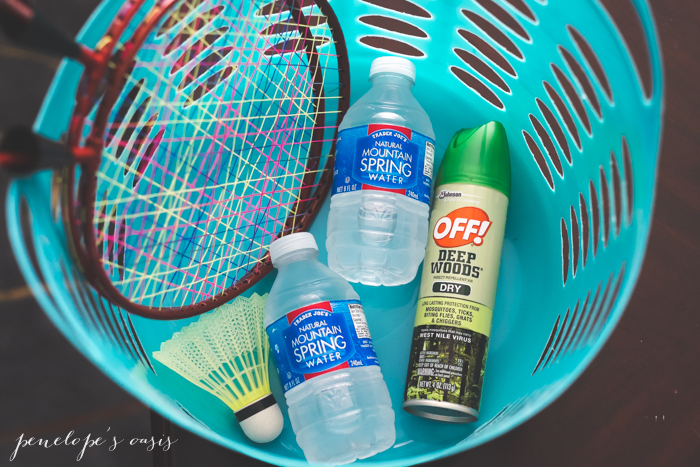 Deep Woods® insect repellent, and a few other necessities that seasoned moms know to always have on hand. 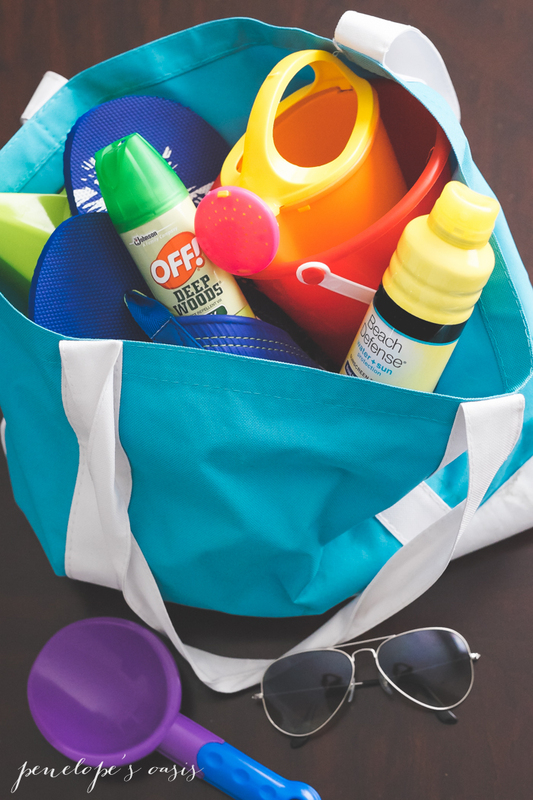 Whether we are going to the beach, the woods, to a park, or just to our backyard, there are four things I always carry with me when I leave the house during the spring and summer (in addition to the fun stuff, which you don’t have to bother to remember, because your kids will never forget that stuff). 1. Bottled water Children play in the hot sun and get dehydrated, and they always ask for water, even though they never remember to bring it. Bottles of cold water are a must-have. 2. Sunscreen Children have fragile skin and spend a lot of time outdoors, and with a family history of skin cancer, I’m very aware of the effect that just a couple severe sunburns can have on our long term skin health. For safety, sunscreen or sunblock should always be at hand to apply before prolonged sun exposure (anything more than 5 minutes). 3. Wipes Baby wipes are pretty awesome, and they clean up everything from muddy hands that want to reach for corn on the cob, to a counter that was just dusted with glitter. I am pretty sure every parent who has relied on these multi-taskers when they had babies continue to depend on them in later years too. 4. OFF!® insect repellent Insect repellent is a standard tool for today’s Always-On Moms, because nothing ruins a day outside more than an attack of mosquitoes or flies, and nothing ruins a good night’s sleep more than scratching those red bumps endlessly while tossing and turning. If I’m not prepared, I will be sorry, and so will everyone around me, both during the day and all night long- sunburns and mosquito bites are long terms frustrations! The week starting June 26, 2016 was National Mosquito Control Awareness Week this year, and it offered an opportunity to remind us, the Always On Moms, how we prevent those unwanted guests from crashing our barbecues and pool parties, especially since we are so aware that insects like mosquitoes may carry viruses that are harmful to us. I always want my boys to be happy, and for them to know their mom wants to protect them, and will always have their back, so those mosquitoes should just stay away. Tip: Did you know mosquitoes are attracted to darker colors like black, navy, and red? Wear light colored fabrics to be less appealing to them. We sometimes go on family vacation, and other times we may take a short day trips to the lake or enjoy a family barbecue. And then there are times we have to go on very important treasure hunts or safari hunts, deep in the woods, and then we really need to protect ourselves from all those insects looking feast on us and slow us down from our mission! I have bags for everything- a tote for the beach with sunblock, OFF!® personal repellent, and sand castle toys, a bag with treasure hunt supplies like a net, binoculars, and a map, and little caddies or tote bags for the various sports my sons enjoy (racquetball, ice skating, soccer, etc). And of course, when we go out into the night to look up at the sky with their telescope, we really need to be armed against those pesky mosquitoes to focus on what is most important- star gazing! 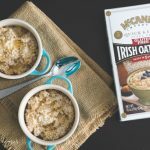 My family won’t be hungry, thirsty, messy, burned or bitten as long as I’m prepared- not on my watch. Tip: Did you know mosquitoes like standing water? Dump collected water twice a week to eliminate their breeding grounds. 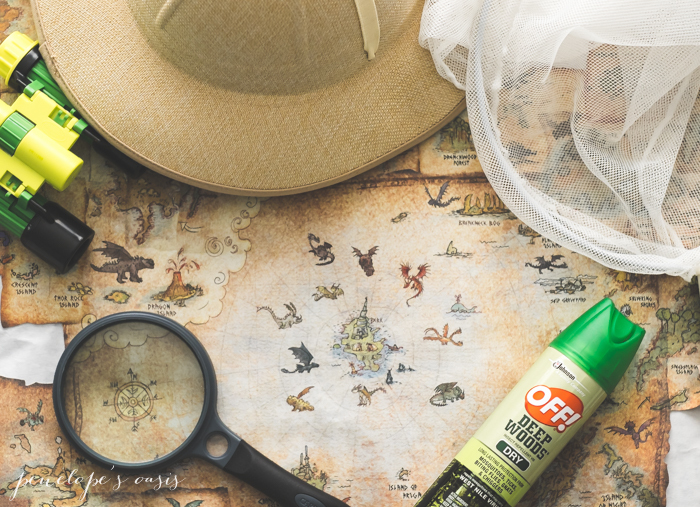 OFF!® repellent products contain active ingredients including DEET and Picaridin, which repel insects by affecting their scent receptors, making it difficult for them to recognize us as a source of food, so they don’t want to bite us! DEET is the active ingredient found in OFF!® Deep Woods®, OFF!® FamilyCare and OFF!® Active product lines, and has been declared effective in repelling mosquitoes by both the World Health Organization (WHO) and the Centers for Disease Control and Prevention (CDC). It’s also registered by the U.S. Environmental Protection Agency (EPA) as an active ingredient in personal repellents and is approved for direct application to the skin when used according to label instructions. Mosquitoes don’t just bite at dawn and dusk, so apply OFF!® DEET-based personal mosquito repellent onto any parts of the body that are exposed when you go out. While some DEET-based personal repellents can be used on children over six months, adults should apply it to their hands and then put it on their child. If your kids are very active and perspiring, or just went swimming, reapply the personal repellent because it washes off with water. Make sure you always follow label instructions. Tip: Protect the inside of your home by covering any gaps in windows or doors and make sure screens on windows and doors are working properly. Find out more at OFF!® and connect with them on Facebook and Instagram.